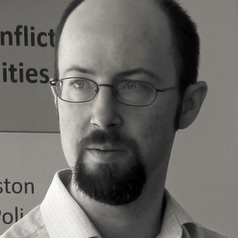 Dr. Jeffrey D. Pugh, Assistant Professor of Conflict Resolution, University of Massachusetts Boston. The 2018 Harold Eugene Davis Prize Committee (comprised of Michael Schroeder, León Arredondo, and Ivette Guzmán Zavala) is pleased to award the 2018 Davis Prize to Jeffrey D. Pugh, Assistant Professor of Conflict Resolution at the University of Massachusetts in Boston, for his article “Universal Citizenship Through the Discourse and Policy of Rafael Correa,” Latin American Politics and Society 59 (3), 2017: 98-121. Dr. Robert Karl, author of Forgotten Peace: Reform, Violence, and the Making of Contemporary Colombia (University of California Press, 2017), winner of the 2018 Arthur P. Whitaker Prize. The 2018 Arthur P. Whitaker Prize Committee (comprised Luis Roniger, Gerardo Cummings, and Kathleen Cunniffe Peña) is pleased to award the 2018 Whitaker Prize to Princeton University Assistant Professor of History Dr. Robert Karl for his book, Forgotten Peace: Reform, Violence, and the Making of Contemporary Colombia (University of California Press, 2017). The Arthur P. Whitaker Prize is awarded each year for the best book published in the previous two years by a member of MACLAS. “Peace may indeed be a more difficult proposition in Colombia today,” writes Dr. Karl, “but the origins of contemporary democracy’s challenges are not located solely in a past of violence” (226). Colombia has had for decades a reputation for violence, yet at the same time it has had one of the longest traditions of democratic governance. Still, until recently when the prospects of a lasting peace seemed promising, scholarship focused on violence almost without contemplating the endless efforts to build peace in that country. In Forgotten Peace, Prof. Karl reconstructs some of those efforts after the end of authoritarianism in 1957. Decades prior to global human rights and justice movements, Colombians created what Karl calls “a creole peace”—a homegrown set of improvised approaches adopted to local circumstances. These efforts included national investigatory commissions, local pacts, agrarian funding projects, and sociological studies of violence. By combining archival and testimonial research, Karl thus offers a reinterpretation of Colombian history and the origins of the Violence (with a capital V) that considers also the popular and intellectual reactions to the failing peace, leading eventually to the rise of the FARC. Focusing on the Gran Tolima region, Karl traces how La Violencia managed to push into oblivion the memory of reformism and convivencia from the late 1950s to the 1960s. Of special importance is Karl’s reconstruction of the work of intellectuals and social scientists such as German Guzman Campos and Orlando Fals Borda, their contributions to developmentalist policies and foremost, their reflections on Colombia’s sociopolitical and cultural development that affected how the image of the country was projected. Tying together sociopolitical and intellectual history, the book considers an ever-changing dynamic between the país nacional and the país letrado, proposing that although the “country of letters” may often feel ignored by the “country of politics,” social scientists have had a greater influence than they have imagined on the way that Colombia views its past and its present. Forgotten Peace has important implications for the prospects of contemporary peace in Colombia, as well as for global conversations about peace, violence, and the long-term consequences of partisan politics. As the recipient of the 2018 Whitaker Award, Dr. Karl has been invited as the keynote speaker at MACLAS 2019 at Stony Brook University in New York. Maria Cecilia Ulrickson, winner of the 2018 John D. Martz prize. Dr. Ivani Vassoler-Froelich, Associate Professor of Politics & International Affairs at SUNY Fredonia and recipient of the 2018 Judy McInnis Distinguished Service Award. The MACLAS Executive Committee is delighted to announce that the 2018 McInnis Distinguished Service Award is awarded Dr. Ivani Vassoler-Froelich, a scholar who embodies the award’s intent and richly deserves this honor. Ivani has long provided enthusiastic, valuable service both to MACLAS and to the larger academic community and is an engaged teacher and scholar of Latin America. This consummate Latin Americanist contributes much to MACLAS year in and year out, having served on the Executive Committee from 2009–2012, as president from 2010–2011, and chair of numerous committees. 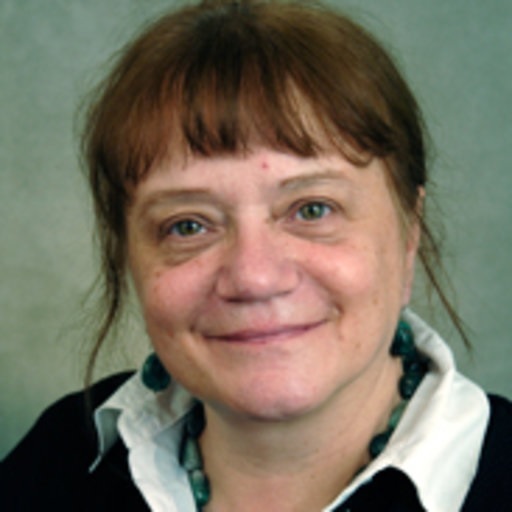 Faculty members, professionals, and independent scholars have received grants to support their research and creative projects on diverse facets of Latin American culture, politics, and society through the annual Władysław Maryan Froelich Research Grants, established by Ivani in honor of her late husband. Ivani has been involved as both a contributor to and editor of the MACLAS journal. In the last couple of years, she was instrumental in reshaping the journal into MARLAS and successfully led a team that implemented the new online format and registered our publication in the Directory of Open Access Journals. She now serves as its managing editor. Dr. Vassoler-Froelich has done extensive field research in Brazil and Mexico and has presented her work at a number of conferences including the one hosted each year by MACLAS. She published Urban Brazil: Visions, Afflictions and Governance Lessons (Cambria Press 2008), and coedited The Geography, Politics and Architecture of Cities (Edwin Mellen Press 2012). Most recently, she edited a volume called Reducing Latin America’s Democratic Deficit from an Urban Perspective: Citizens, City Governments and the Limits of Change (Scholars’ Press 2017). She also contributes to the Encyclopedia of U.S.-Latin American Relations (CQ Press). In 2004 and again in 2012, she won the award for the best article published in MACLAS’s Latin American Essays. For these reasons, the Executive Council of the Middle Atlantic Council of Latin American Studies unanimously determined Dr. Ivani Vassoler-Froelich to be a thoroughly deserving recipient of the Judy B. McInnis Distinguished Service Award. Dr. Judy B. McInnis (1943-2006) was Professor of Spanish, Comparative Literature and Women’s Studies at the University of Delaware from 1971-2006. She was among the earliest members of MACLAS and served as its president and treasurer. The award is not made annually but only when the Executive Council votes to honor a longstanding member for outstanding service to MACLAS and/or to the larger academic community of Latin American Studies, for continuous outstanding scholarship, excellent teaching and/or humanitarian endeavors in Latin America.